Stew of young Goat with rice, beans and cassava that can be served with or without Loche (Loche = squash Mochica grown in northern Peru). 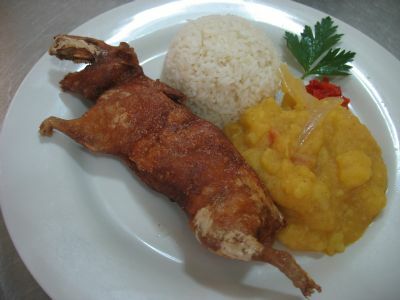 Half Fried Guinea Pig with creole potatoes and rice. Complimented with creole salsa. Guinea pigs are around 700 gr, picture dish is half guinea pig, they are seasoned with sat and pepper and deep fry. Creole potatoes and rice. Complimented with creole salsa. 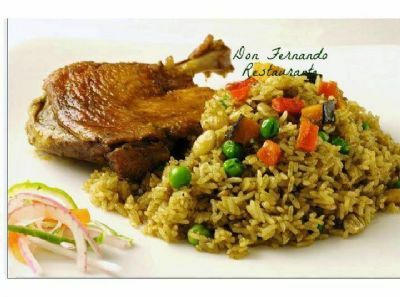 Bone-in or boneless, rice of my town, butternut squash Lambayeque, ñuñas ( a variety of beans) .... Delicious dish emblem of the Norther cuisine. 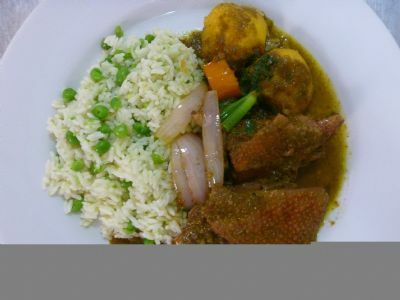 Young Duck Stew, served with Peruvian yellow potatoes, rice and peas or rice and beans. Duck Stew, we two different presentations and the same price, with bones or boneless. Served with peas and rice and Peruvian yellow potatoes. Delicious stew of one of the most flavorful meats. We suggest a bottle of Cabernet Sauvignon wine and a shot of Pisco as a digestive. Mash corn dish made with top blade steak. We mashed the corn and the cilantro and it is cook in the beef broth. It is serve with white rice and salsa. 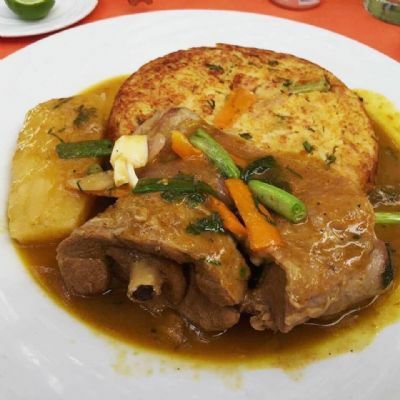 Typical dish of the Northern city of Peru, Lambayeque. It is made with blended corn and cilantro and top blade steak. Sea Urchin cebiche, famous Peruvian seafood . Peruvian sea urchin are famous for their size and unique flavor. Our oriental clients enjoy this dish very much. 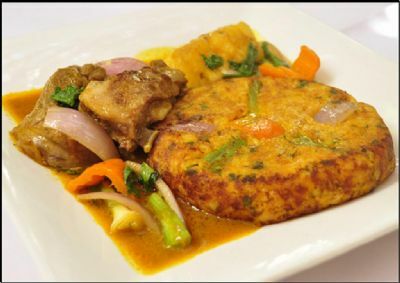 Stingray omelet, served with creole salsa or with rices and cassava. Serves one person. 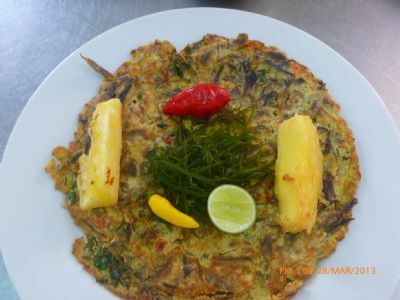 Stingray omelet, served with creole salsa or with rices and cassava. Serves 2 or 3 people. 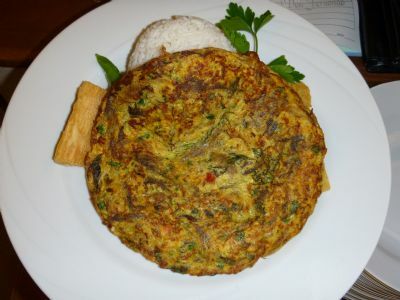 It is very common in ports, inlets and northern picanterías to serve the Stingray Omelet as an appetizer to be share and served with a few drinks. It is served with fried yucca. Mash corn dish made with fish and cilantro. CONSULT THE DAY FISH SPECIES. We mashed the corn and the cilantro and it is cook in the fish broth. It is serve with white rice and salsa. Mash corn dish made with top blade steak. We mashed the corn and the cilantro and it is cook in the beef broth. It is serve with white rice. If you do not like cilantro you can asked to be cook with yellow pepper. 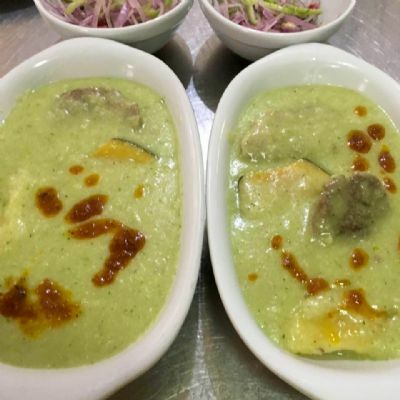 This is a typical dish of the Northern region of Peru. © Don Fernando Restaurante 2019 - All rights reserved. We offer prices in USA dollars and prices in national currentcy are estimates.